Aside from the Huda Beauty Contour & Strobe Lip Set in Trophy Wife / Shameless, I also purchased the Huda Beauty Contour & Strobe Lip Set in Silverfox / Enchanting. I loved Trophy Wife / Shameless so much that I had to get another one. 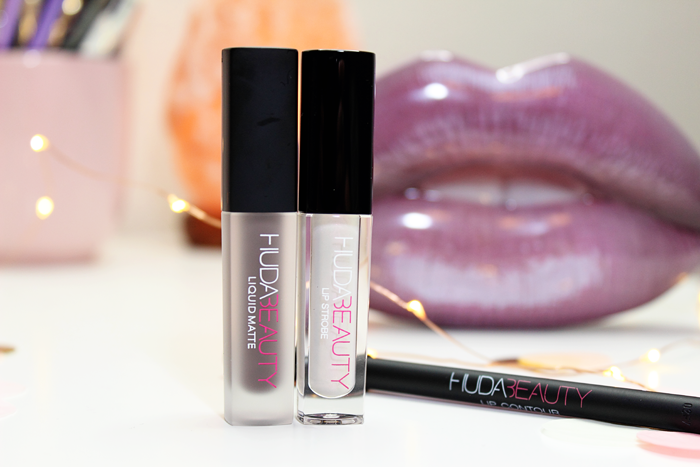 Like the Huda Beauty Contour & Strobe Lip Set in Trophy Wife / Shameless, Silverfox / Enchanting contains a mini Liquid Matte Lipstick, a mini Lip Strobe, and a full size Lip Contour. 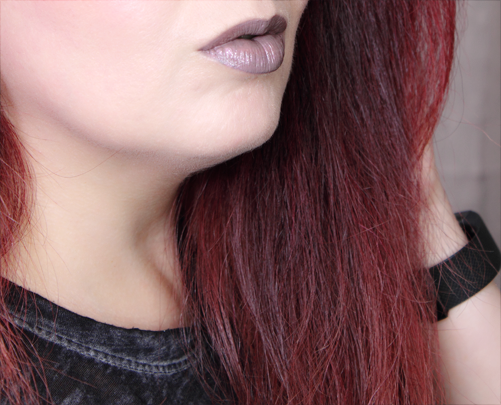 The Silverfox Liquid Matte Lipstick is a medium grey with a slightly warm undertone. The Enchanting Lip Strobe is a semi-sheer prismatic white with pink reflections. I know. I know. I keep trying to make these grey shades work, but they just don’t do me any favors. However, when topped with the Lip Strobe I think it’s surprisingly wearable. I’m really digging it! I was really drawn to these shades because they’re different. They’re very unique shades in my collection. 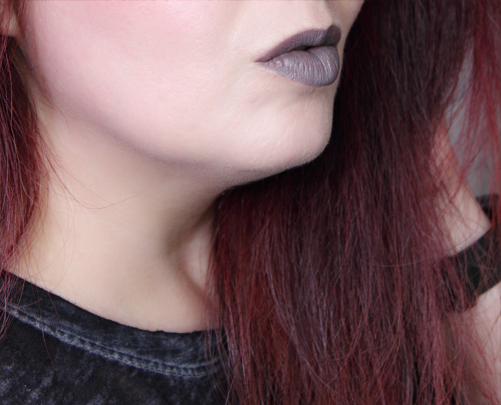 I do have a few grey shades around somewhere, but Silverfox is somehow more wearable. 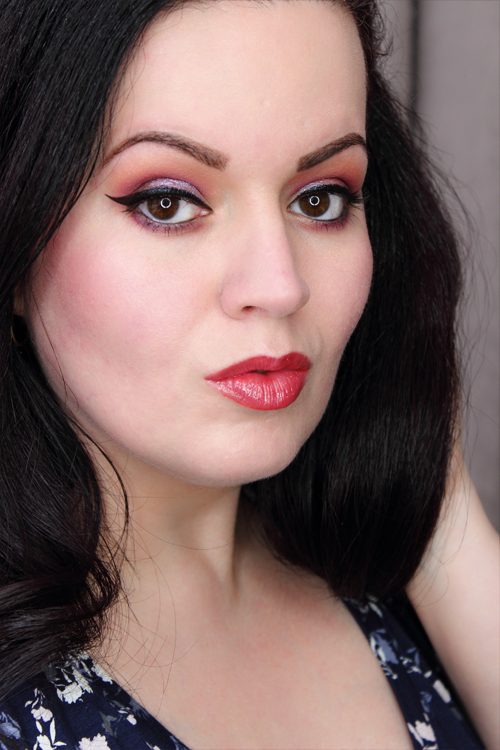 Even though it may not be the most flattering shade I’ve ever worn, I do think it can be pulled off with the right look. I definitely prefer it paired with Enchanting though. 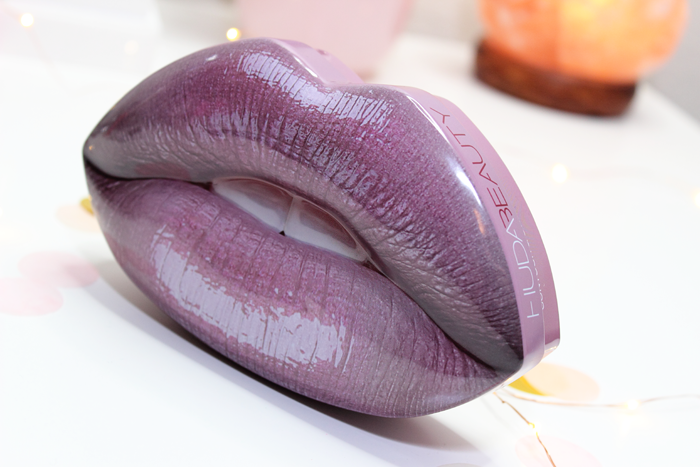 I think the name Enchanting is fitting for this shade. 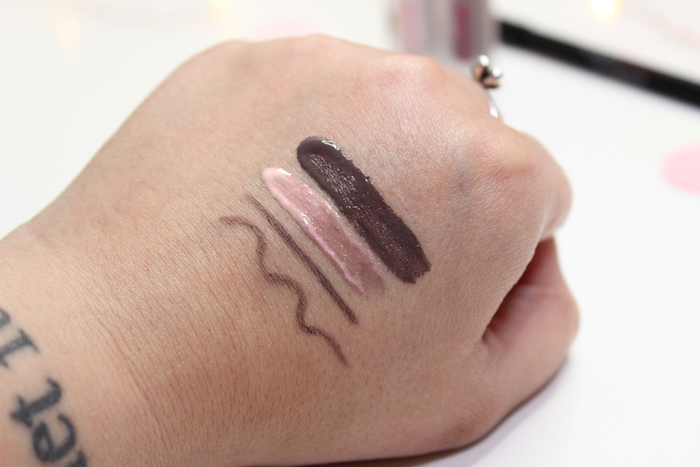 It’s all kinds of magical and makes for a truly beautiful lip shade. You can see the Huda Beauty Contour & Strobe Lip Set in Silverfox / Enchanting below. It’s too bad there are only 5 of these tins to choose from. I really would have loved to try a few more. They’re just so cute and they were a lot of fun to work with. Being the liquid lipstick lover that I am, you’d think I would have tried something from Huda Beauty by now. I guess nothing really caught my eye. That is until I started seeing these cute tins floating around Instagram. Seriously, how cute are these tins? I ended up getting a few of these and will be reviewing them separately. 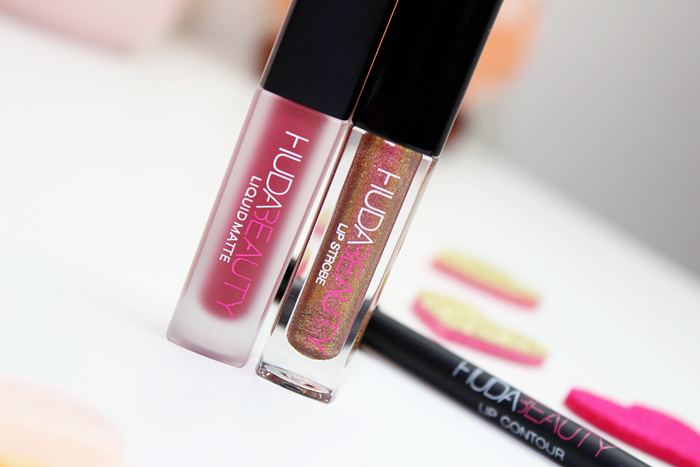 Today I’ll be talking about the Huda Beauty Contour & Strobe Lip Set in the shades Trophy Wife / Shameless. Each set contains a mini Liquid Matte Lipstick, a mini Lip Strobe, and a full size Lip Contour. 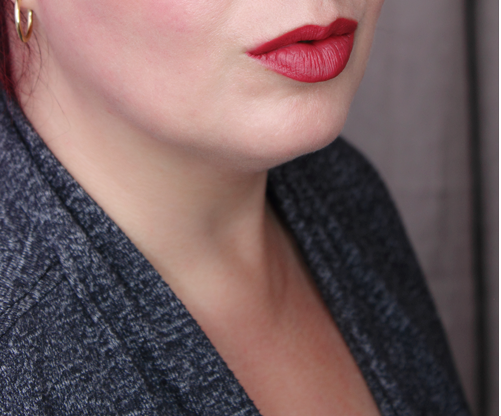 The Trophy Wife Liquid Matte Lipstick is a beautiful rose wood shade. The Shameless Lip Strobe is a chameleon sheer base encapsulating gold and pink pearls. You can use these products individually or paired together. These applied beautifully! I was really surprised at just how nicely they applied. The Liquid Matte Lipstick was a little different from most I’ve tried. It leaves my lips slightly tacky afterward. However, it didn’t leave my lips feeling dry so it’s definitely a welcoming change. I did detect a rather strong scent. Vanilla? Fruity? I can’t quite put my finger on it, but it doesn’t linger so it’s not a problem for me. I definitely notice it during application though. After topping the Liquid Matte Lipstick off with the Lip Strobe my lips felt much better. My lips still felt slightly tacky, but they felt nice and moisturized. These do last quite a while, but don’t hold up so well to food and drink. Most of the Lip Strobe came off while I was drinking my coffee, but the Liquid Matte Lipstick was still going strong. That is until I ate. But the same could be said about most liquid lipsticks. You can see the Huda Beauty Contour & Strobe Lip Set in Trophy Wife / Shameless below. Overall, I’m very impressed with this cute little set. 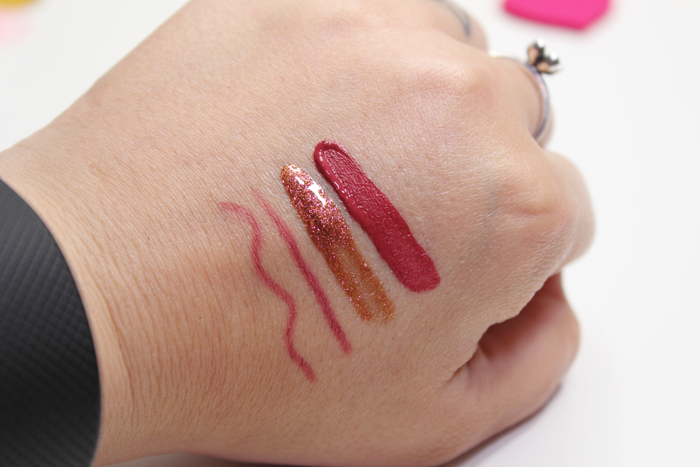 These shades compliment each other beautifully and make for such a glamorous lip! I’m planning to wear this during my holiday festivities. And $25.00 is such a great deal considering the products you get. Along with the reusable tin. Which I have on display in my bedroom. 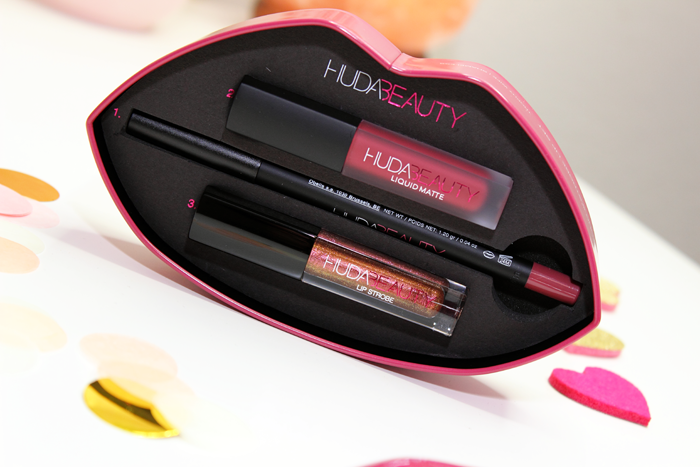 Have you purchased any of the Huda Beauty Contour & Strobe Lip Sets?